Almond milk is one of the healthiest milks you can include in your regular diet. It has an amazing nutritional profile and it tastes great. Almond milk adds a nice creamy taste to any smoothie and can easily be substituted into any of our smoothie recipes. Whether you are looking at making your own or buying from a store, all you need to worry about is either reading the label for the unsweetened tag (the less additives the better) or checking the nutritional values on the almond bag to see just how nutritious almond milk is. Avoid the sweetened or flavored almond milk. Before we begin praising the benefits of almond milk, remember that it is not a good choice for infants. The reason is because it is not as rich in certain nutrients as breast milk or dairy milk that are needed for infant development, but Almond milk can be a balanced healthier alternative for older children and adults. One of the health benefits most associated with almond milk is weight loss. Because of its low quantity of calories, almond milk works well with any diet. It also makes the diet healthier. The monounsaturated fats that it contains can also help with shedding off a few pounds. At least when compared with the 168 calories contained in goat milk, it sure looks like a better and less expensive alternative to include in a weight loss diet. Alzheimer’s is still a puzzling disease. Researchers cover a variety of avenues when it comes to preventing it or delaying the degeneration process. So far, there is one factor that helps in both regards and all scientists agree on, and that is a high intake of Vitamin E. While almond milk may not have the highest nutritional values of all the milk, it is a fantastic source of Vitamin E.
Until such time that a cure for Alzheimer’s is found, consuming almond milk on a regular basis will give you a good healthy dose of Vitamin E. It may help to delay the onset of the disease or help to slow down the degeneration process without flooding your body with more medication than your liver can handle. Almonds have a high concentration of monounsaturated fats, also known as MUFAs. These beneficial fats are usually derived from nuts, olive oil, and avocados. Studies have shown that a high intake of MUFAs can help to combat the growth of certain cancerous cells that can affect the liver and prostate. While not as rich in Vitamin D as animal-based milk, almond milk is still a good source because it is suited for most people and can be consumed in larger quantities. It will help to keep your bones and teeth strong. It is also a good source of calcium and may help to prevent diseases such as osteoporosis, arthritis, and common bone fractures. Having already seen what the health benefits of almond milk are, let’s take a look at how it fares against other popular milk products by examining what they have to offer in terms of nutrition, benefits, and price. Cow’s milk is rich in protein and can sometimes cause inflammation when used in large quantities. 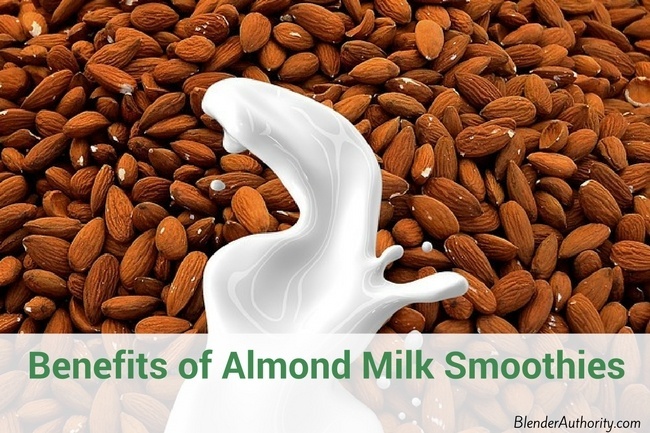 Many people are known to have allergies when it comes to this product, so almond milk can be a great alternative. Cow’s milk has also been associated with increasing the risk of prostate cancer cell growth. Firstly, goat’s milk is very expensive. It has many nutrients and is easier to digest than cow’s milk and less people are known to be allergic to it. Goat’s milk is the best animal-derived milk option as it is healthier than cow’s milk and delivers more health benefits. Also, goat milk can be more processed and have a distinct taste. Rice milk is also popular as a dairy free alternative milk and is the least allergenic among the various milks. It does have no saturated fat or cholesterol but it is very low in protein and can elevate carbohydrate levels since rice is high in starch. Try to get organic rice milk so it is processed properly. Overall, Almond milk has less carbohydrates and more protein than rice milk. While wildly popular for so many years, soy milk is not something you want to consume on a regular basis. Multiple studies have shown that the genetic modification that is often associated with its production can alter the balance of your hormonal levels. This can result in discomfort by disrupting the normal bodily functions. GMO-free soy milk is available but generally the market is saturated with altered soy milk. This is a very good alternative for those that suffer from diabetes or anemia. It contains large quantities of lauric acid which are great for preventing fatigue and can even help with weight loss when used in small doses. When compared to almond milk, coconut milk has higher levels of calories. This is why reading labels and looking for different brands is essential to ensure you don’t wind up with a product that can do more harm than good. Cold pressured and organic versions of coconut milk are the ones to look for, and the less additional flavors they contain, the better. Soak raw almonds overnight in water. Soak longer if you want the milk to come out creamier. Drain and rinse the almonds. They should feel soft. Mix about 1 cup of the softened almonds with 2 cups of fresh water for standard milk-like consistency. You can reduce the amount of water if you want a thicker milk. Pulse the softened nuts a couple times to chop them up and then blend at high speed for a couple minutes or until the almonds are a very fine consistency. Place a nut milk bag or cheese cloth over a measureing cup and pour the blended liquid through the strainer. Squeeze the nut milk bag to get the remaining liquid through the bag so all your are left with is the Almond meal. You should end up with approximately 2 cups of almond milk when you are done. NOTE – Fresh almond milk will only last a couple days refrigerated so don’t make too much. What is the best blender for making almond milk ? Most blenders with at least 600 watts can blend soaked almonds since you are using a lot of liquid but Vitamix blenders are the best for blending nuts. Peel the kiwi’s and then remove the filling. Wash the spinach and add all ingredients to your blender and avoid using sugar because that’s why the honey is there. Blend all until smooth and feel free to change the texture by adding more almond milk. 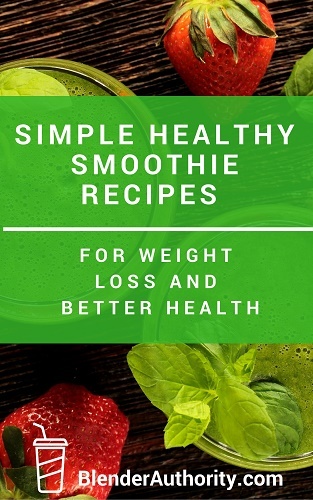 Just put all the ingredients into your smoothie blender. This nutritional smoothie is packed with flavor and Vitamin C.
Learn about some of the healthy benefits of Almond Milk and why you should start using almond milk in your smoothies.